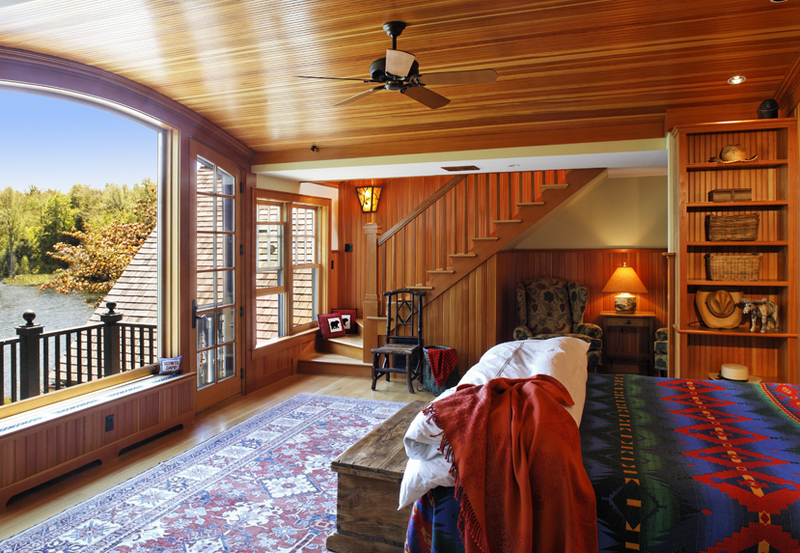 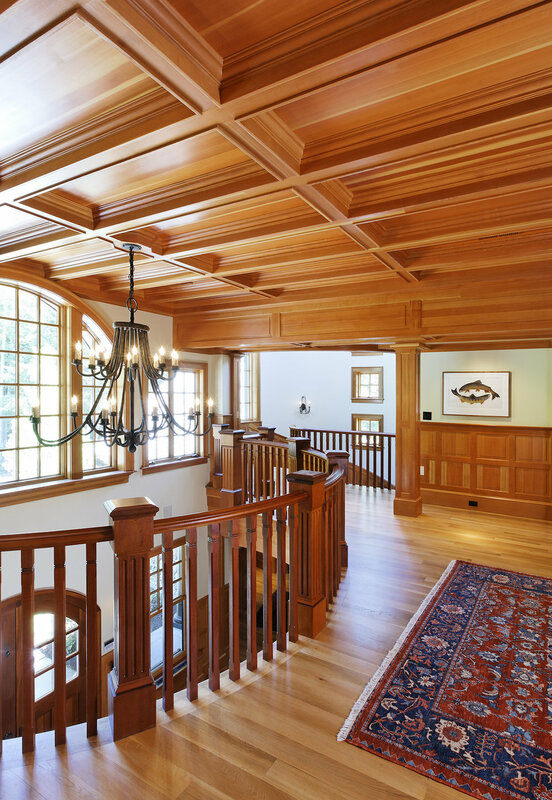 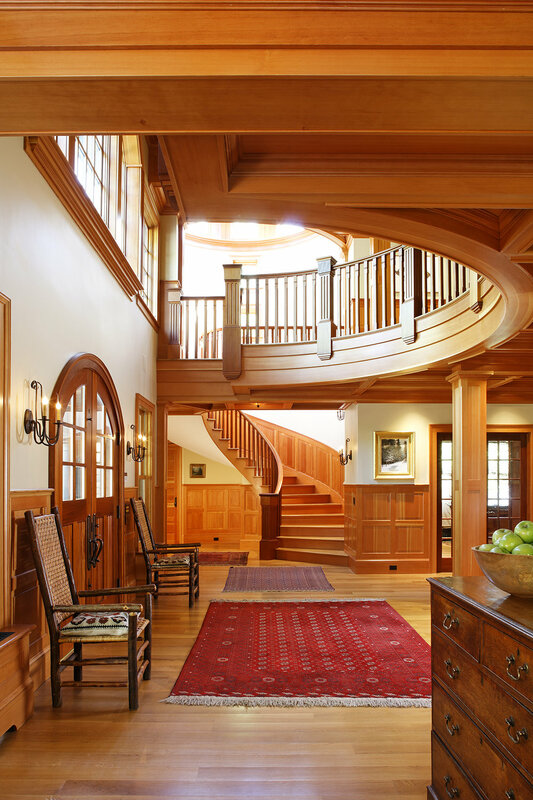 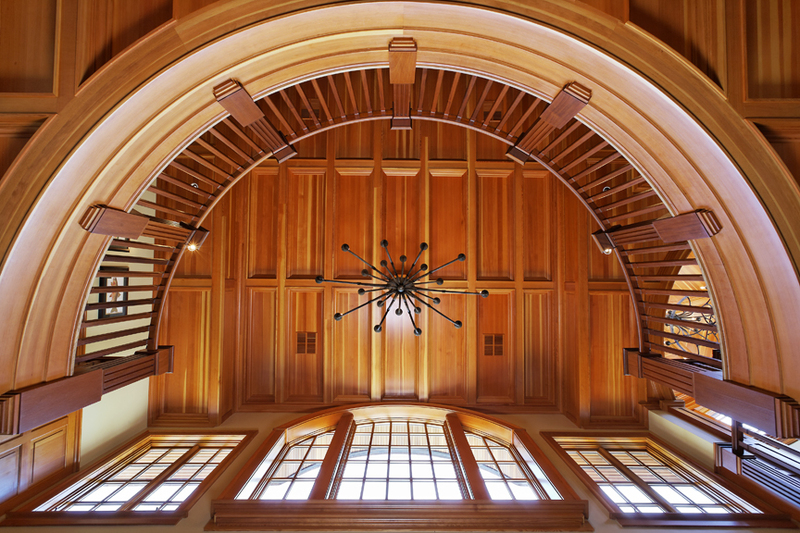 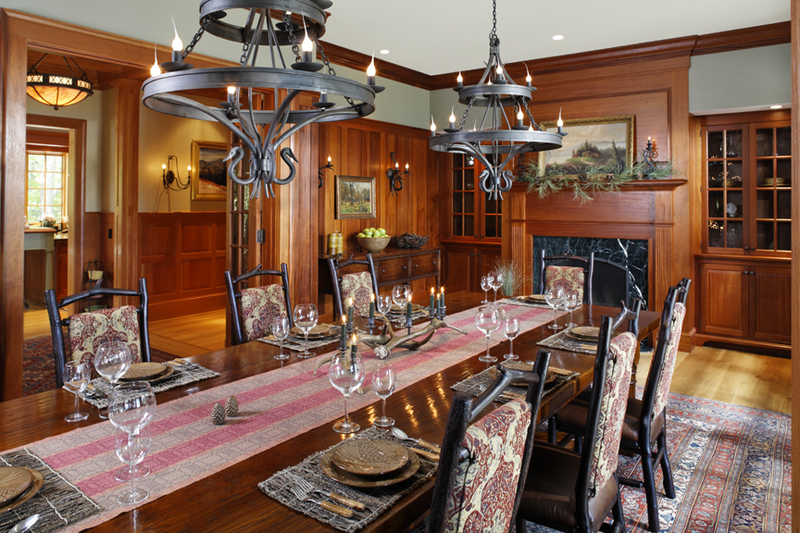 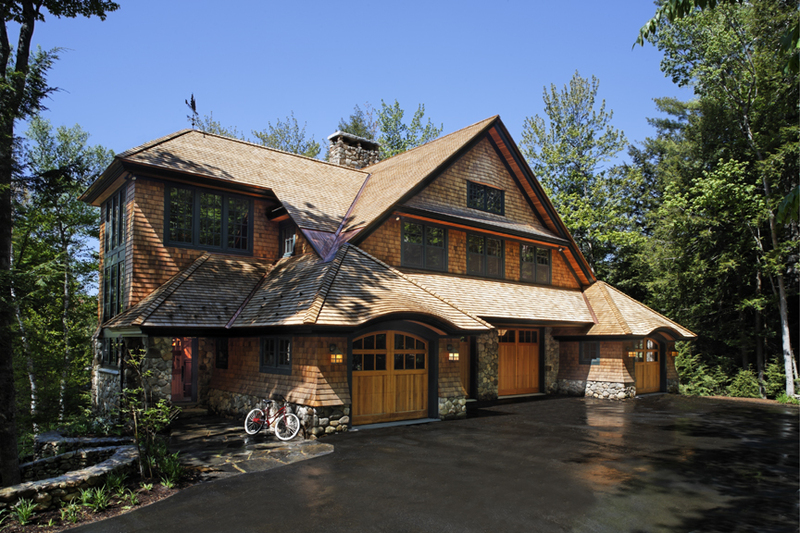 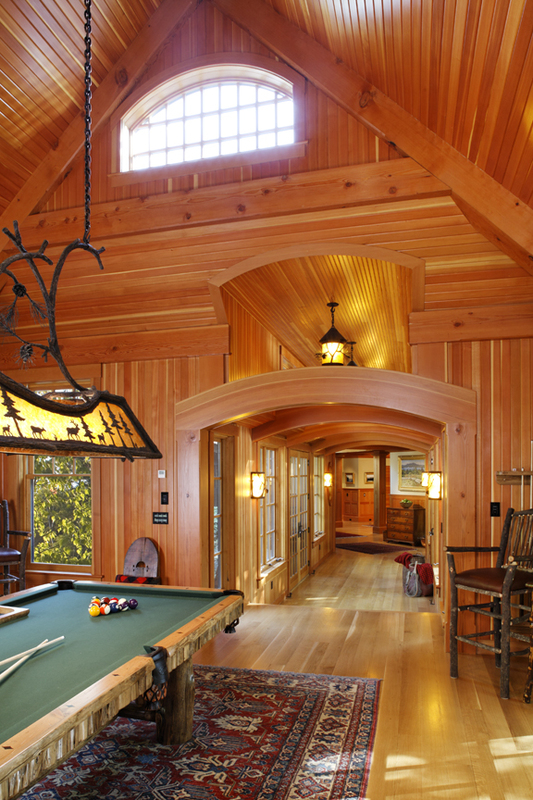 This stunning example of Shingle Style home illustrates the beautiful features of multiple roof lines and gables as well as the exquisite custom millwork exhibited in its stairways, ceilings, paneled rooms, and hallways. 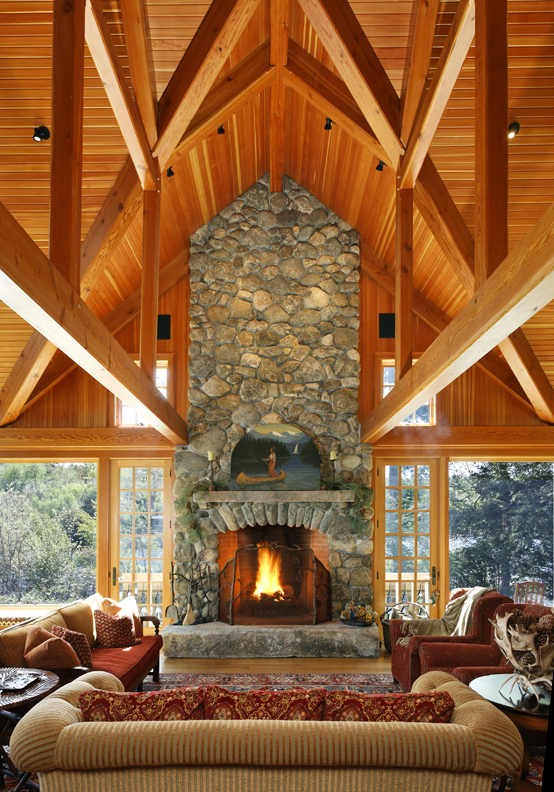 The extensive stone work in this home is found in the indoor and outdoor fireplaces as well as the walkways and patios surrounding the property. 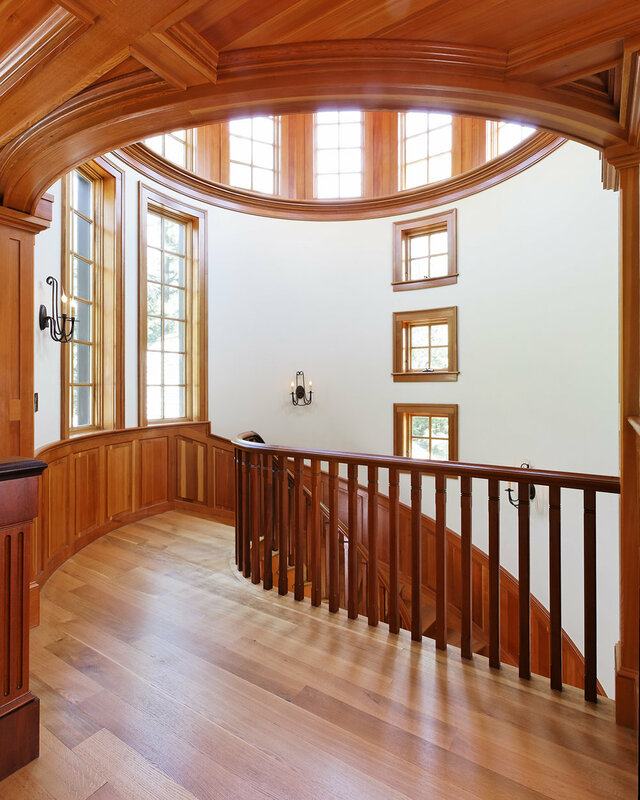 This property also features a equally stunning guest home. 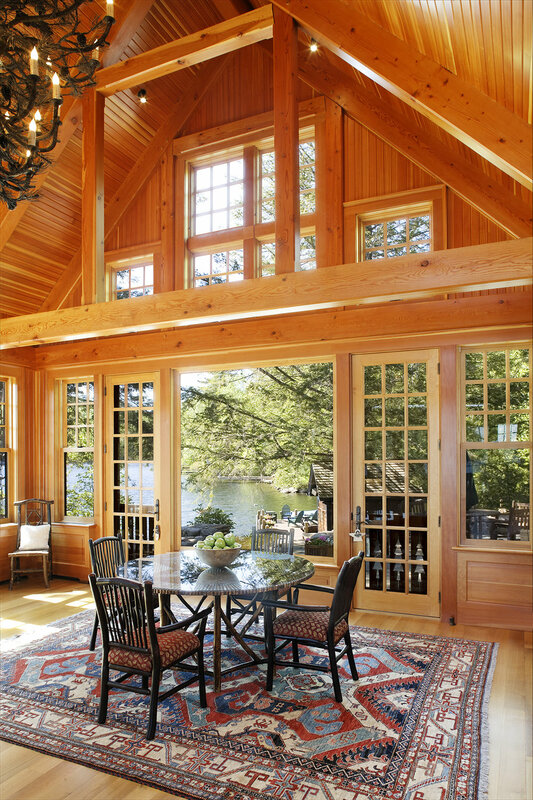 The site of this home was carefully considered in the design process to take full advantage of their lake side views while maintaining maximum land side privacy.